Atlas Guides, also known more commonly as Guthook Guides, was started by a couple of thru-hikers who hiked the Pacific Crest Trail (USA) together in 2010. 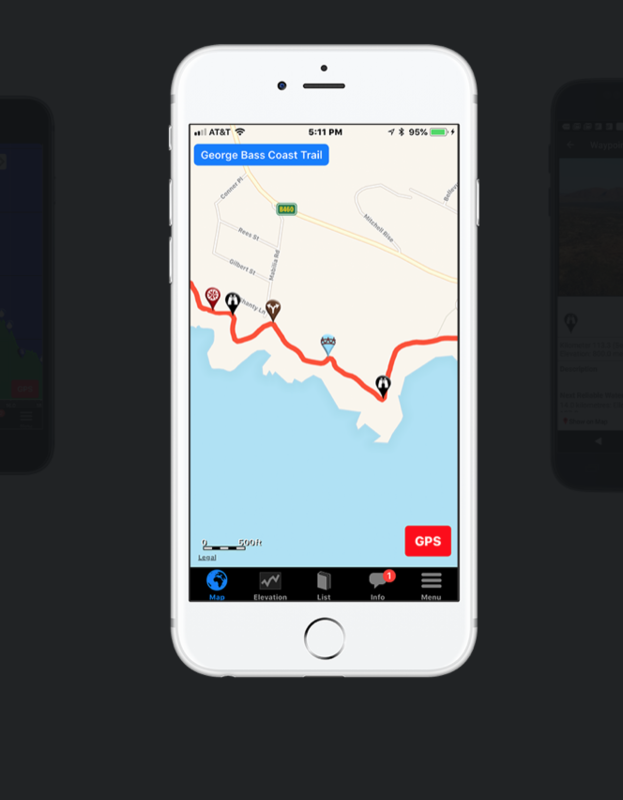 Since then this app has grown to encompass a number of well known trails world wide including a number of trails in Australia (see below). In 2018 I hiked the Bibbulmun Track and had a number of navigation options available to me including maps, GPS, as well as the Guthook Guide App. As it turned out I ended up using this app almost exclusively on my trip relegating my Garmin InReach Explorer+ to an emergency device and trip logging tool. While I carried the maps as a ‘just in case’ I only looked at them before the start of each section just to familiarise myself with what was to come. I’m going to come out straight up and say that I loved this app. The Bibbulmun Track is very easy to follow so I used this app more to provide me with distances and as a planning mechanism rather than as a navigation tool. Of the two times that I went off track (due to me not paying attention) I only used the app once just to confirm my suspicions of what I had done rather than dragging my map out. 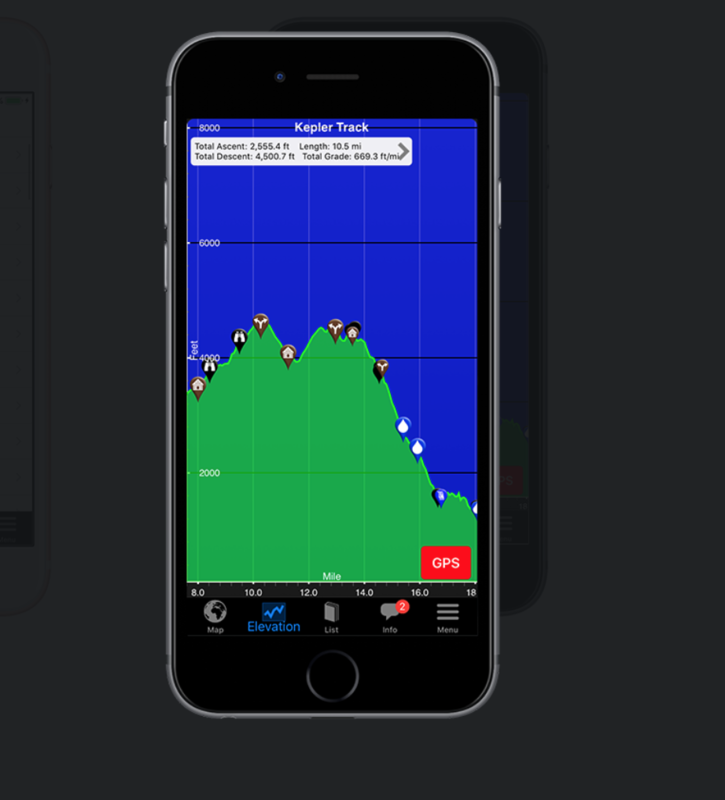 The app is free to download but to use the functionality you need to purchase trail apps. In doing the Bibbulmun Track I had the option of purchasing the Track data by itself but instead I purchased the Australian/NewZealand Bundle which cost around $23 at the time of my purchase as there were a number of other tracks that are on Guthook that I plan on doing over the next few years. For most of my five week trip my phone stayed in flight mode with the GPS off to conserve battery and would only turn on the GPS when I wanted the distances to show up on the map. Now like any product there are some minor glitches with this app. In walking through the town of Pemberton, heading north to head out of town, the app wanted me to be on the adjacent street but I persisted in following the trail markers. 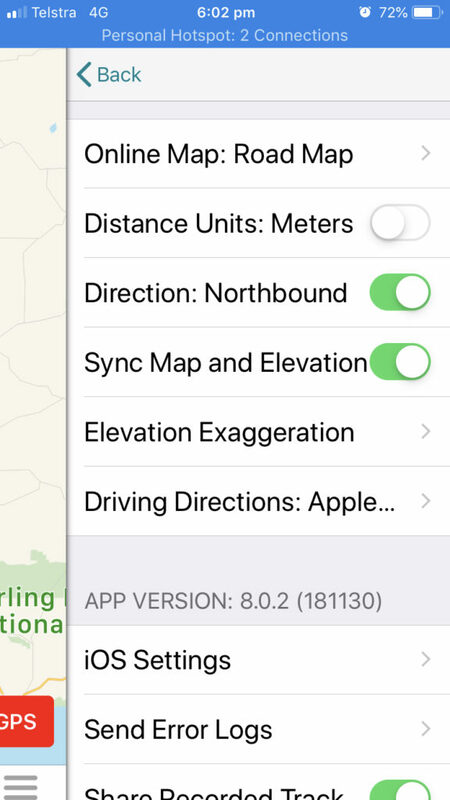 The other issue that I found was in Collie which is an off track town, the app stopped measuring distances at the turnoff point which was also an issue when I went off track accidentally. Over a trip that was just over 1000km long these were pretty minor issues. Over my five week trip I came across a number of other hikers using this app who all sang its praises. One final comment on this or any other app dependent on having a charged phone. Hikers should be able to navigate by some other method just in case your phone does die. In addition there are a number of US, European and other high profile tracks available to download. 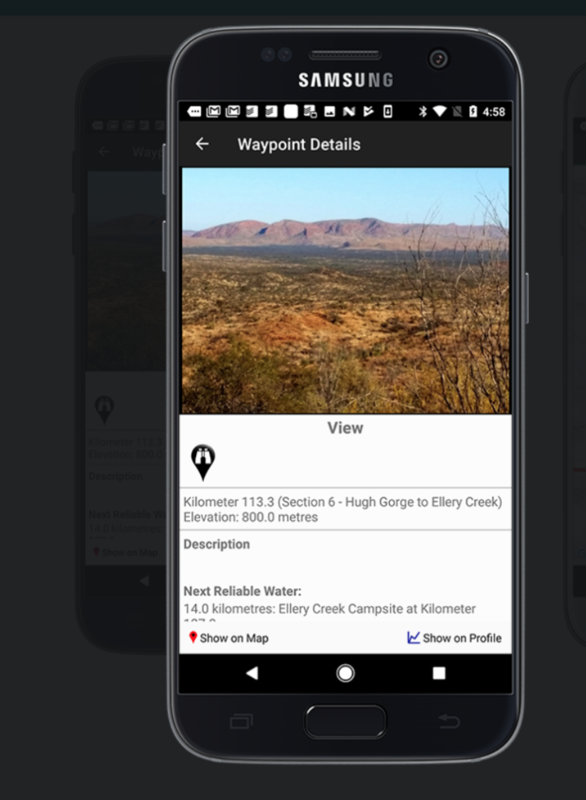 This review was done with an app and maps purchased by Australian Hiker.